How to request employer profile (company information) on OMJ. Post your employment opportunities to attract the skills of job seekers state-wide and nationally. Manually close a job post early once you’ve found that ideal candidate. 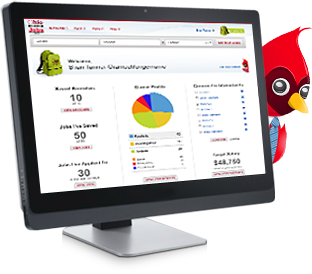 Create an account to post your employment opportunities and search the resumes of qualified candidates state-wide or nationally. Find the ideal candidates to make your company successful. Locate the individuals responsible for handling your OhioMeansJobs account. The quick way to reach the OhioMeansJobs Administrator for your account. The single step to get to your account Gateway. Identify your company as one with policies, practices, or services focusing on the needs of active duty service members or veterans. As an Administrator, you can update the status of the active user roles for your OhioMeansJobs account. As an Administrator, you can reset passwords for the users assigned to your OhioMeansJobs account. As an Administrator, you can update the status of a user who no longer requires access to your OhioMeansJobs account.